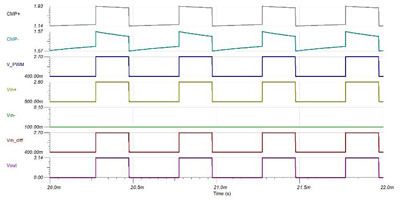 This TI Reference Design provides the theory, component selection, and simulation of a single supply comparator required to use AC coupling to detect sine waves or square waves. Often this is needed due to differences in ground between two different modules. Whenever AC coupling is involved into single supply circuitry negative voltages become a concern. Excessive negative voltages on comparators can cause the comparator to trip erroneously or to stay stuck at unpredictable levels. Proper high pass filtering and DC offsetting are required for reliable operation. 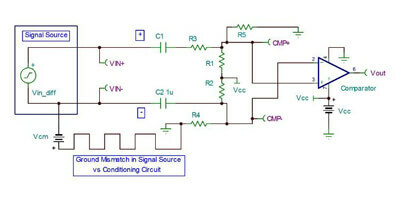 This design will show how to AC couple a wide range of input signal levels and frequencies into a high speed comparator to generate a robust and accurate clock signal.